Over the course of this history, Griffin analyses everything from the territorial and political evolution of the parish to the development of transportation and travel, and from the founding of the schools to the early financial and industrial conditions. 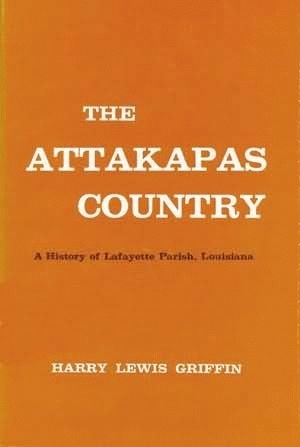 Griffin also provides accounts of the flood of 1927, the greatest challenge Lafayette Parish had to overcome in its early history and a sign of the persevering spirit that would help the parish to overcome such destructive forces. Harry Lewis Griffin, dean emeritus of the College of Liberal Arts at Southwestern Louisiana Institute, was born near Clarksburg, West Virginia, of distinguished Virginia ancestry. After graduating from the University of West Virginia, he studied at the University of Chicago where, in due time, he received the degree of Doctor of Jurisprudence. While he was in Chicago, he made the acquaintance of Messers. H. C. Bond and A. W. Bittle, who, as members of the Southwestern Faculty, spoke so highly of him to the University that his appointment as Professor of History and Political Science followed immediately.